Those are our original shapes. Every board is one of its kind in its shape or at least in graphic design. We will continuously come up with new boards here. 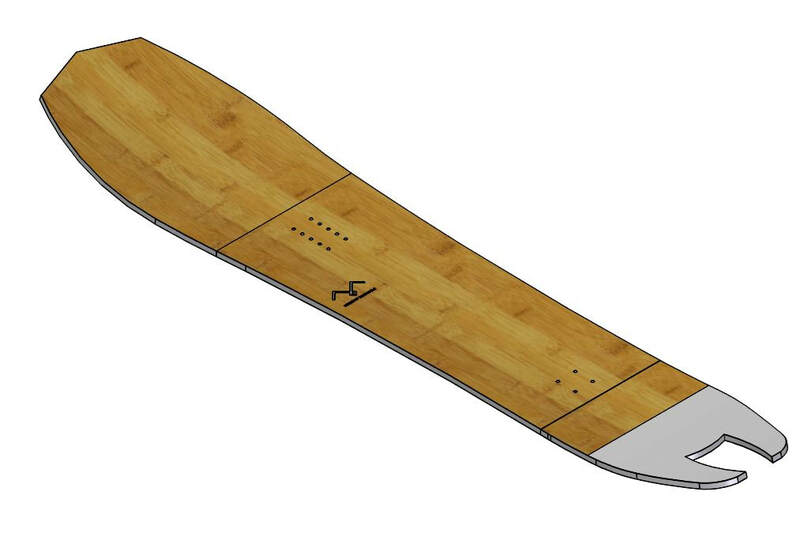 All boards are handmade in Europe. 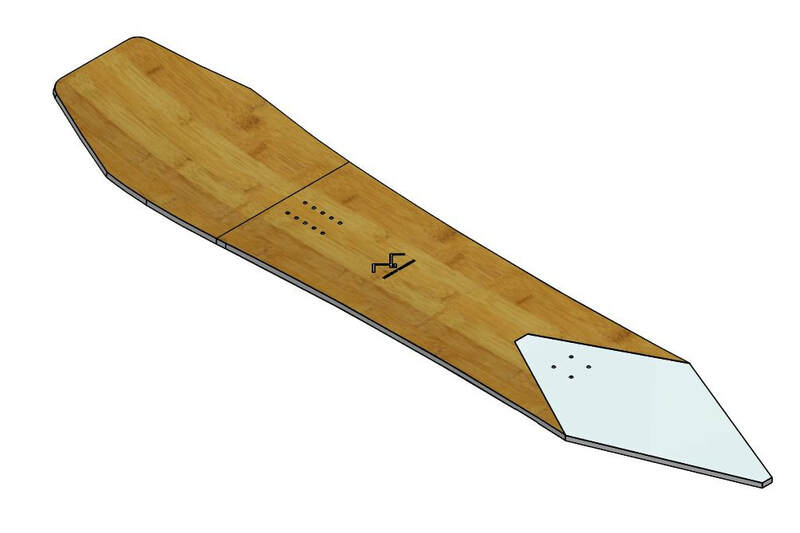 This is our first asymmetrical full camber model with swallowtail. 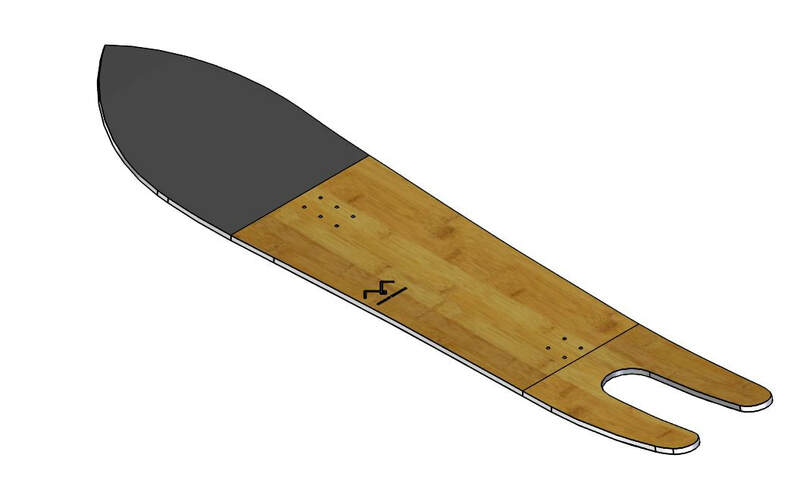 It was designed for east coast park rider Jeremy Allen. 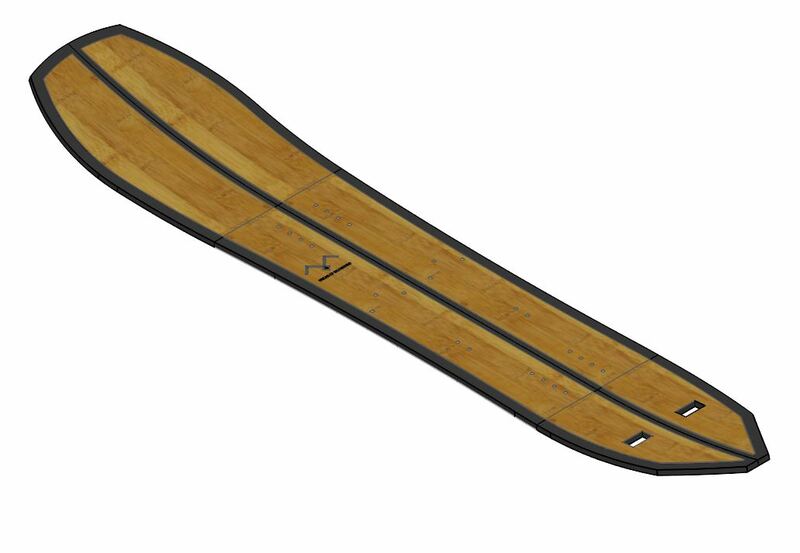 He wanted a fun all-round board for park and pow. If you want the same, this model is a good choice. STATUS: Woodcore is ready. You will get an estimated production-time after the order is confirmed. ​Space racer is based on our most versatile shape. It glides and floats in pow and carves on groomers. This one comes with swallowtail which means your back leg will not hurt you after a whole day of riding. Hot knife is based on our most versatile shape. It glides and floats in pow and carves on groomers. This one comes shaped as knife. You will do nose butters and pop ollies with an ease with that one. ​Only a surfer knows the feeling. 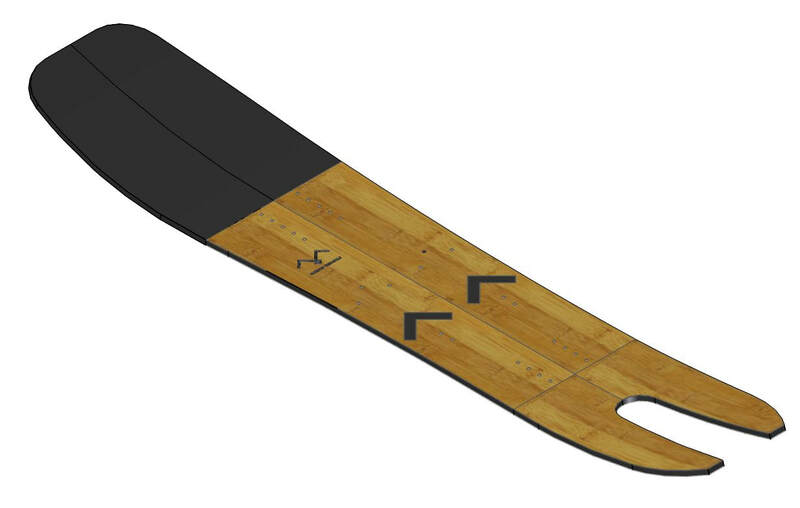 Full reverse side-cut, its the funniest quiver for deep pow days. It can't be ridden on hardpack. 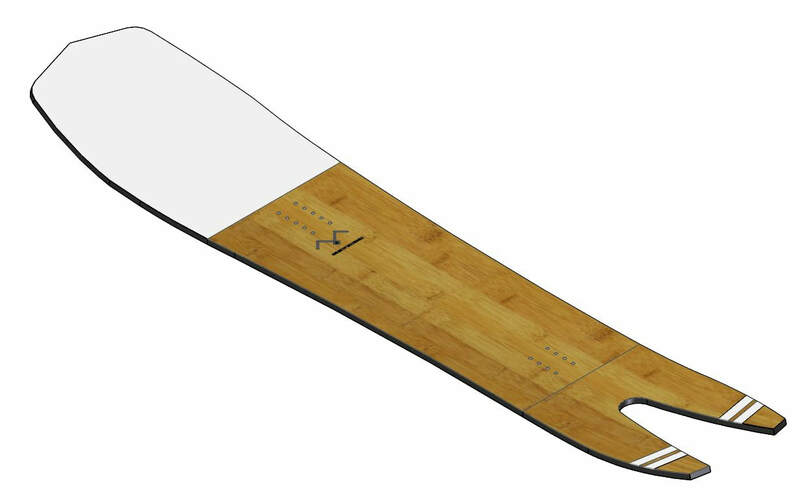 Womens powder board with a ollie tail-bar and surf fin. Rides great on groomers too. 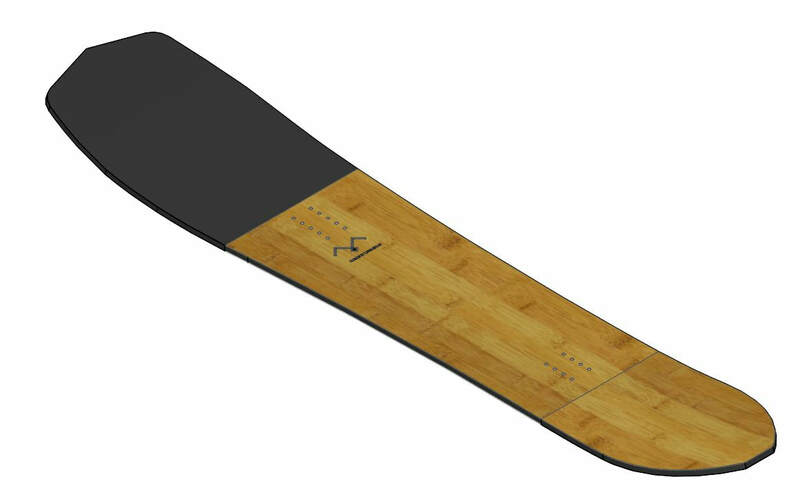 This board is made for pure fun and enjoyment in pow. Short and wide. Its super maneuverable and floaty. Rideable on groomers, but not recommended for carving. STATUS: Snowboard is built and tested. It has artistic series graphic. It is available as a test board. Diamond tail shape. A playful board for all conditions. It is recommended for shorter riders. 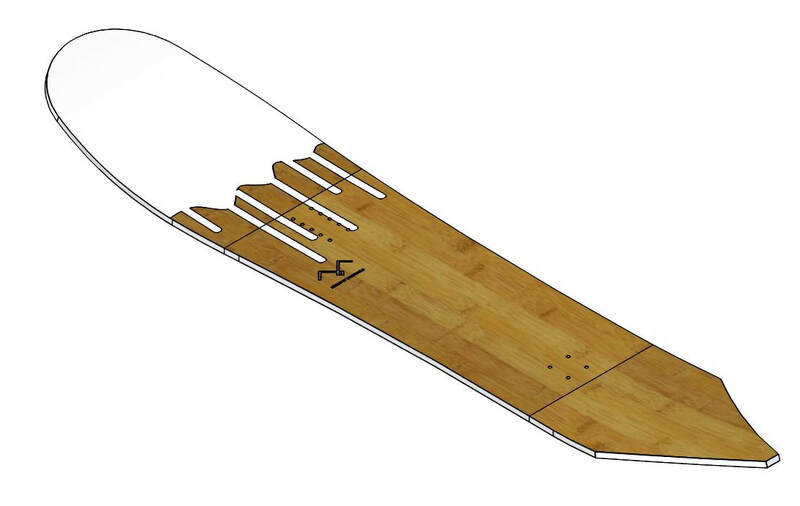 STATUS: Snowboard is built. It has artistic series graphic. 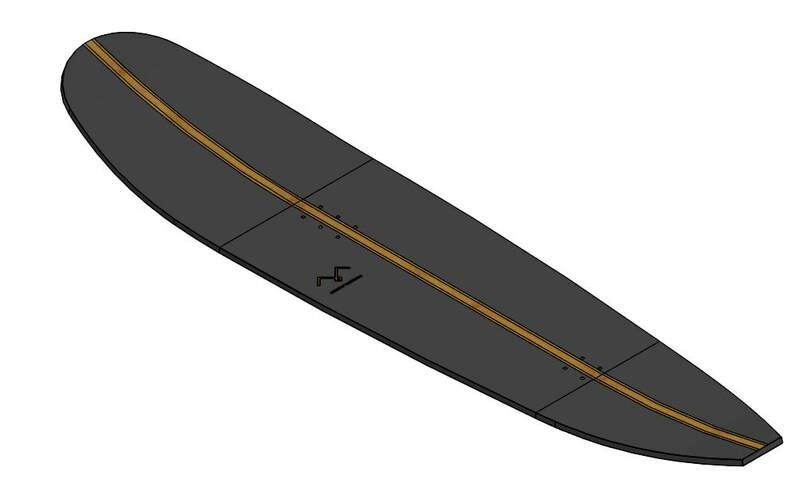 Extra wide unsinkable splitboard. The best splitboard choice when days are deep. Of course you will stay on surface on shallow pow too. 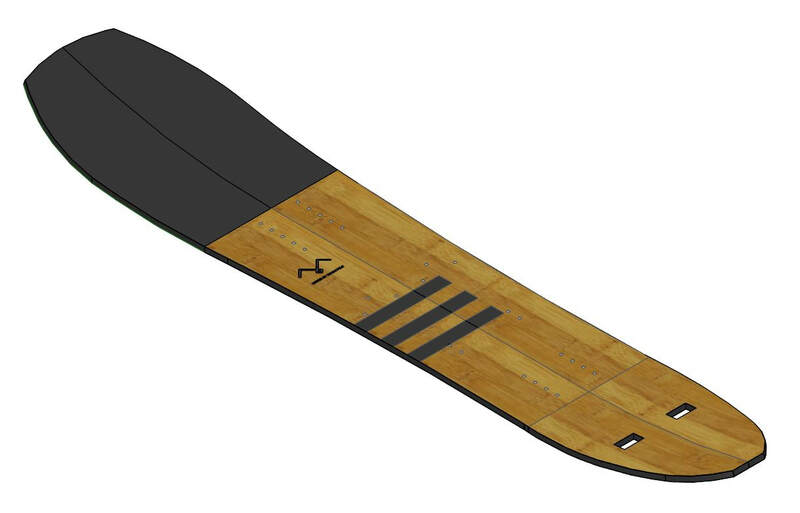 All round splitboard with cut- outs for skins attachments. It is well tested board. STATUS: Board is built and is available as a test board. 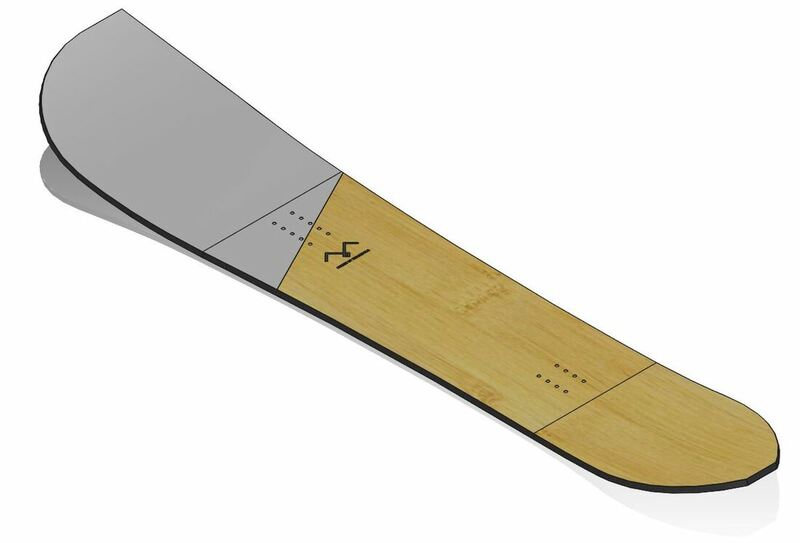 All round splitboard with cut- outs for skins attachments. 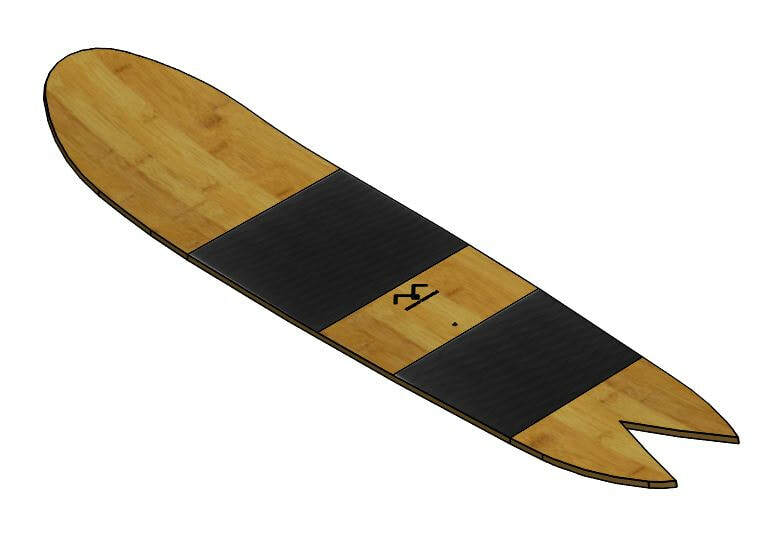 It has smoother shape and will be little more forgiving and even easier to ride then 1.0 model. STATUS: Shape is ready. You will get an estimated production-time after the order is confirmed. 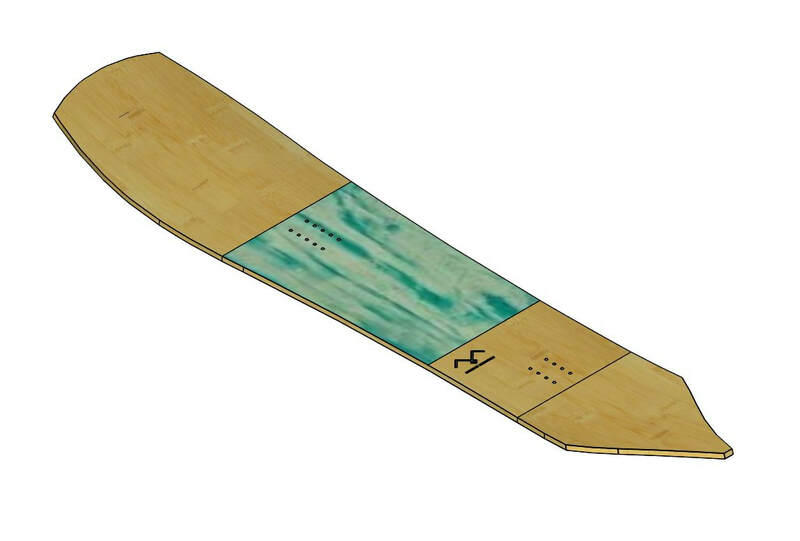 This board is very stable and literally slays the powder. 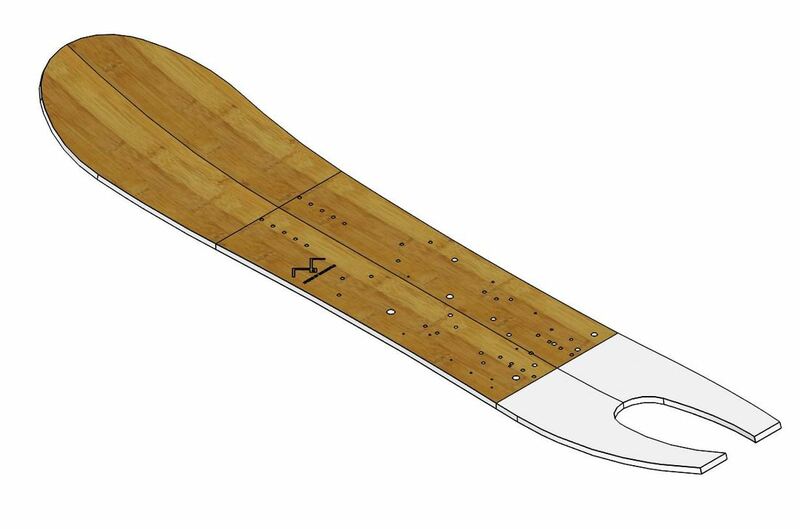 Unihorn with blunt nose shape and temperature treated pine sidewall. This board enables you to escape "into the wild" every weekend. When you try powsurfing you will get the same feeling as when you tried snowboarding for the first time. You don't need a big mountain to enjoy the freedom of this board. Powsurfing is making snowboarding fun again. Side hits are the real thing now. This is a pow board with ollie talbar. It will make you enjoy the pow and when you will ride on pistes, the extended tail will provide you a lot of pop. Enjoy yourself. ​STATUS: Woodcore is ready. You will get an estimated production-time after the order is confirmed. When you dream about winter in the summer. 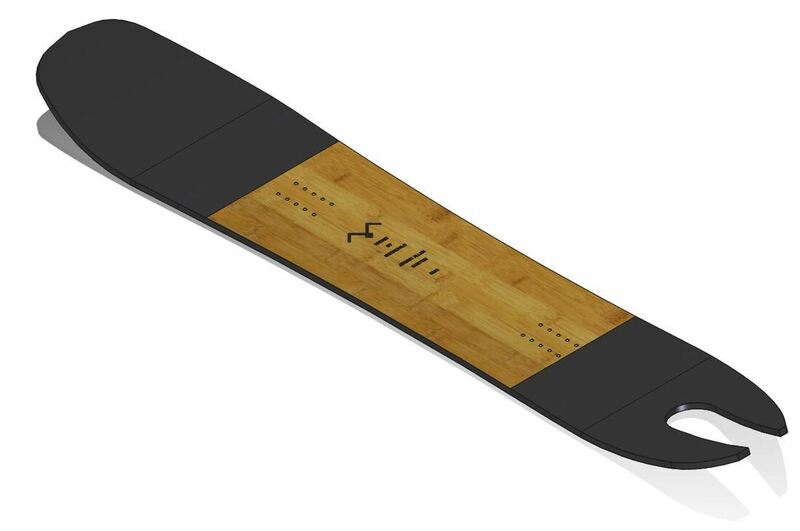 It is fully functional pintail snowboard. Tail is reinforced with carbon and acts like a spring.